HomeEntertainmentExclusive: Komban may release on Wednesday! Exclusive: Komban may release on Wednesday! There was some confusion prevailed over the release of Karthi – Lakshmi Menon starrer ‘Komban’ as the politician Krishnasamy called for a ban. 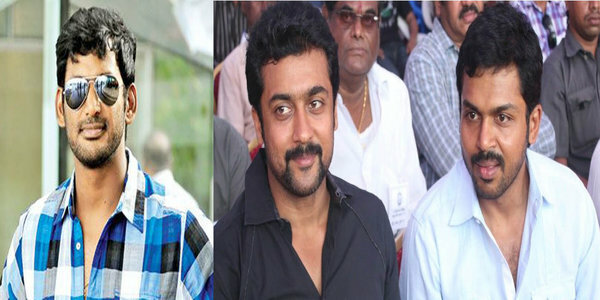 He claimed that the movie will have some obnoxious materials, which might stir a communal war down south, but the team ‘Komban’ assured that the movie is all about the relationship between a man and his father in law and they have privately screened the movie to Krishnasamy and a panel of judges. Since the movie got a no objection certificate from the judges, the movie is getting released. But not as planned. Wait! Karthi is striking 24 hours in advance as the prints have already gone to the respected theatres. The booking have been formally opened and now the fans can watch ‘Komban’ from tomorrow itself.